The year was 1973. Our five children ranged in age from 13 down to 1 1/2 years. We went with a group of folks from Michigan to Loralie, Saskatchewan, Canada. 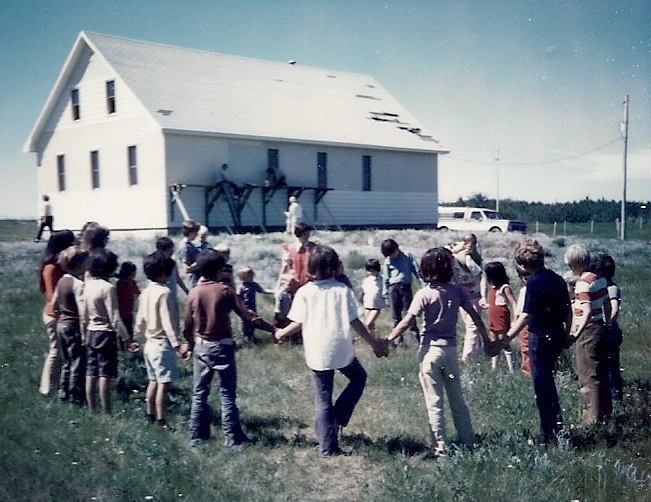 We went to a Native American Reserve where a Cree tribe lived. We repaired a church building and held Bible school for the kids. The roof is in bad shape! 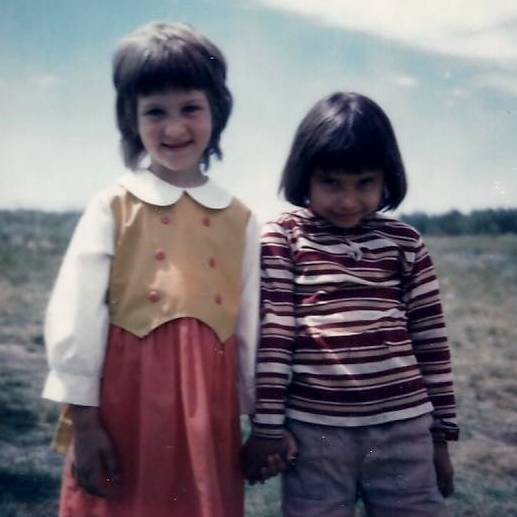 The first picture is of our youngest daughter, Christy, and her special Native friend. 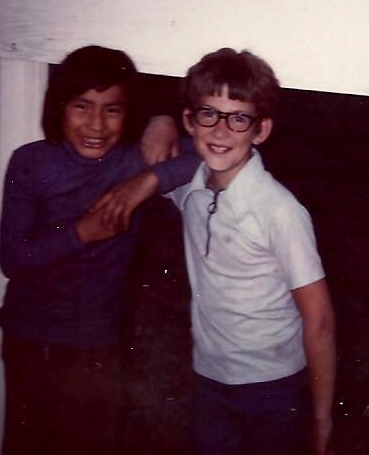 The second picture is our son, Teddy, and his Native American friend. They look like good buddies! 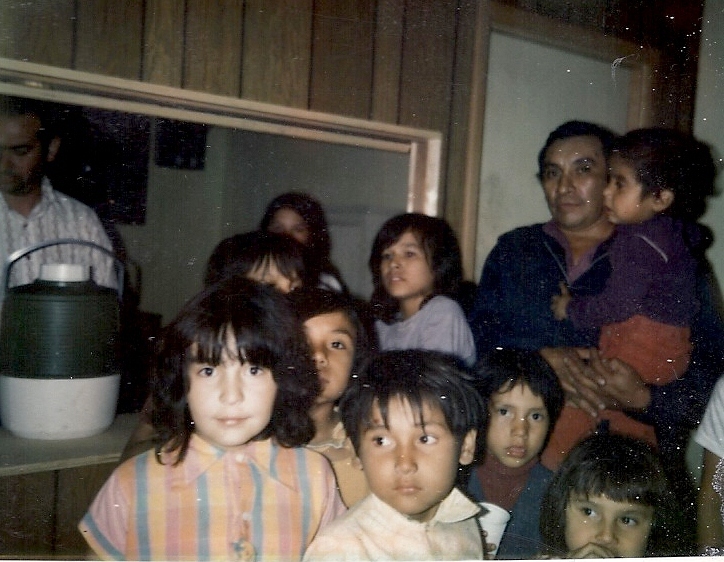 Jerry drove around the reserve and picked up a load of kids every day in the back of our pickup truck! Today that might be against the law! 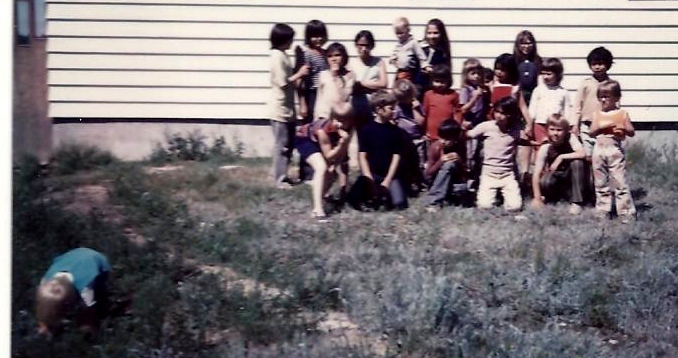 That was our introduction to Saskatchewan. Evenings we had a ‘getting to know you’ time. The roof has been repaired. 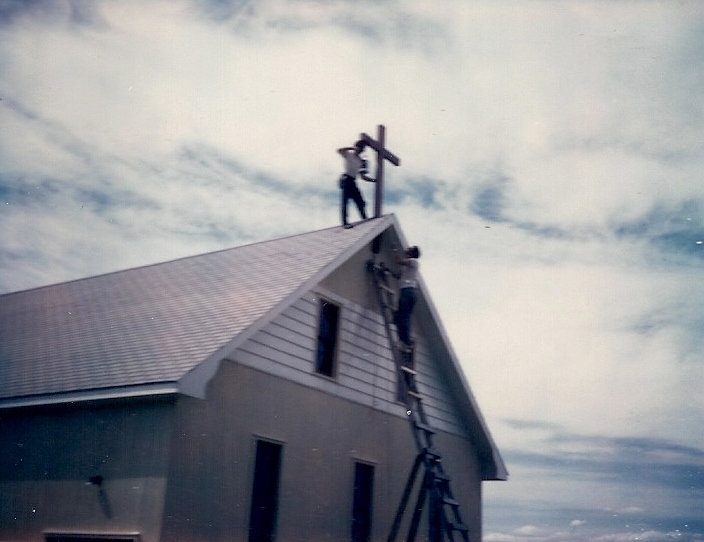 The men had enough wood left to make this cross for the top. Now the church can be seen for miles! 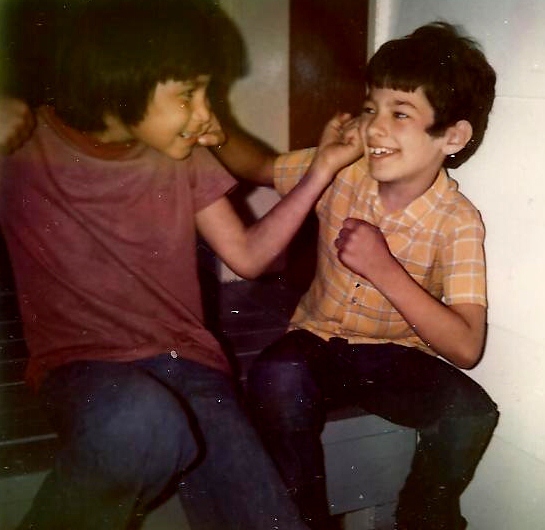 This is our middle son, Timmy, and a native friend sparring! These are the kids in our group! Great friends of all ages! 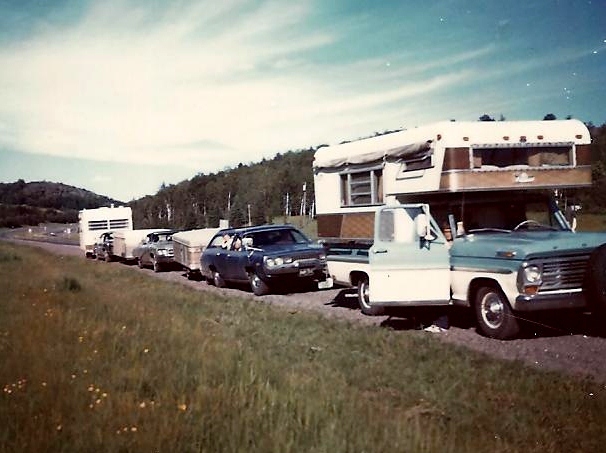 We were a caravan moving along the highways! Charlie’s Service. This old gas station is where we filled up! That’s our truck being serviced in the picture! 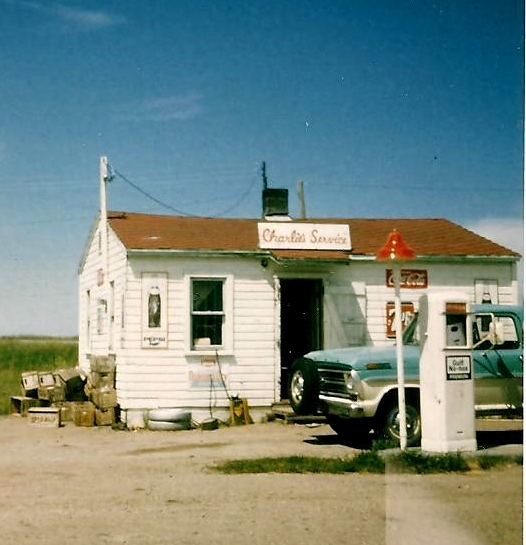 We thought it must have been the last of the old gas stations still standing! This entry was posted in Canada, Friends, International Students, Projects, Traveling and tagged Canada, Children, Native Americans, Saskatchewan, Travel, World. Bookmark the permalink. I simply want to tell you that I’m very new to blogs and actually enjoyed your web page. Almost certainly I’m planning to bookmark your blog post . You absolutely come with good articles and reviews. Cheers for sharing your website. I simply want to mention I’m very new to blogs and honestly liked this website. More than likely I’m going to bookmark your blog . You really come with really good article content. Regards for sharing your blog site. Some genuinely nice and useful info on this website, too I conceive the style and design has got good features. Fantastic website. A lot of useful information here. I’m sending it to a few friends ans also sharing in delicious. And certainly, thanks for your sweat! If you could e-mail me which has a number of hints on just how you built your site glimpse this fantastic, I might be thankful. I definitely wanted to post a remark so as to express gratitude to you for some of the precious information you are giving out at this site. My prolonged internet lookup has finally been compensated with high-quality strategies to write about with my best friends. I would suppose that many of us visitors are truly blessed to exist in a fine website with very many marvellous people with great pointers. I feel pretty happy to have encountered the site and look forward to tons of more pleasurable times reading here. Thank you once again for all the details. I like this site its a master peace ! Glad I found this on google. “Irrationally held truths may be more harmful than reasoned errors.” by Thomas Huxley. Thanks lots for being our lecturer on this issue. We enjoyed your own report greatly and most of all enjoyed the way you handled the issues I widely identified as controversial. You happen to be always rather kind towards readers really like me and assist me to in my existence. Thank you. Some truly wonderful posts on this internet site, appreciate it for contribution. “A liar should have a good memory.” by Quintilian. I completely recognize everything you have said. Truly, I browsed by way of your additional content articles and I feel you happen to be completely appropriate. Great job with this online site. magnificent post, very informative. I wonder why the opposite specialists of this sector don’t notice this. You should proceed your writing. I’m confident, you have a huge readers’ base already! Couldn?t be developed any better. Reading this post reminds me of my old room mate! He always kept talking about this. I will forward this report to him. Pretty certain he will possess a good read. Thanks for sharing! I like your writing style truly enjoying this internet site. “Lack of will power has caused more failure than lack of intelligence or ability.” by Flower A. Newhouse. Thankyou for all your efforts that you have put in this. very fascinating information . Spot on with this write-up, I actually think this web site needs much more consideration. I’ll most likely be again to learn far more, thanks for that info. I like this website very much, Its a real nice place to read and get info. “What is a committee A group of the unwilling, picked from the unfit, to do the unnecessary.” by Richard Harkness. Hi my family member! I want to say that this post is awesome, great written and come with approximately all important infos. I¡¦d like to look more posts like this . Very well written post. It will be supportive to everyone who utilizes it, as well as yours truly :). Keep doing what you are doing – can’r wait to read more posts. I have read much on the topic of without charge blogging websites, except I have no clear idea on the topic of that, can any one let know me which one is most excellent in support of free blogging? We wish to thank you all over again for the wonderful ideas you offered Jesse when preparing a post-graduate research and also, most importantly, with regard to providing every one of the ideas within a blog post. In case we had been aware of your website a year ago, i’d have been rescued from the unnecessary measures we were taking. Thanks to you. Real informative and great body structure of written content , now that’s user genial (:. I really thankful to find this internet site on bing, just what I was looking for : D as well saved to fav. HI Website Owner! Very nice blog you have here, I kinda like it! I noticed you were using WordPress and I figure I’d share a tip with you. There’s a plugin for WordPress I use on my own websites that will help you boost your traffic significantly ! You can easily get a spot on the page 1 for your specific keywords ! Here is the link … http://bit.ly/xqj97z ! If you need help with anything feel free to contact me ! Have a nice day ! I visited a lot of website but I believe this one has something extra in it. “Of all human ills, greatest is fortune’s wayward tyranny.” by Sophocles. Howdy! This article could not be written any better! Looking at this post reminds me of my previous roommate! He continually kept talking about this. I am going to send this post to him. Fairly certain he will have a great read. Many thanks for sharing! Real nice pattern and wonderful written content , absolutely nothing else we require : D.
keep up the wonderful piece of work, I read few content on this site and I believe that your web blog is rattling interesting and contains circles of great information. I appreciate your piece of work, thankyou for all the interesting content . Youre so cool! I dont suppose Ive learn something like this before. So nice to search out someone with some unique thoughts on this subject. realy thanks for starting this up. this website is one thing that is wanted on the web, someone with a bit of originality. useful job for bringing something new to the internet! I am not very excellent with English but I find this very easygoing to understand. I’m curious to find out what blog system you are using? I’m experiencing some small security issues with my latest blog and I’d like to find something more safe. Do you have any suggestions? Very interesting details you have noted , regards for posting . “A big man is one who makes us feel bigger when we are with him.” by John C. Maxwell. I really wanted to write a comment to be able to express gratitude to you for those fantastic techniques you are placing at this site. My considerable internet lookup has now been compensated with useful insight to share with my friends and family. I ‘d assume that we site visitors are very much blessed to live in a remarkable website with so many perfect people with beneficial opinions. I feel rather privileged to have seen the web site and look forward to many more brilliant times reading here. Thank you once more for everything. But wanna remark on few general things, The website layout is perfect, the written content is very good : D.
I’ve been browsing on-line greater than 3 hours as of late, yet I by no means discovered any fascinating article like yours. It’s pretty value sufficient for me. Personally, if all site owners and bloggers made excellent content material as you did, the web can be a lot more helpful than ever before. “When you are content to be simply yourself and don’t compare or compete, everybody will respect you.” by Lao Tzu. I like this web site its a master peace ! Glad I found this on google. “Americans will put up with anything provided it doesn’t block traffic.” by Dan Rather.